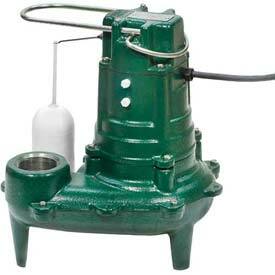 Sewage pumps are used daily at sewage treatment plants, wastewater facilities and sewage lift stations. Industry professionals who are in need of a sewage pump to move solid and liquid waste from one place to another know that they can turn to Phantom Pumps for unrivaled support and high-quality products. All Phantom Pumps products are high quality, reliable and durable and can confidently be used as low-cost alternatives to name brand pumps such as Gorman-Rupp, Durco Pumps and others. Each pump comes with our standard one year warranty and is manufactured to the highest industry standards. All ISO quality assurance certification requirements are met by our manufacturing process, and to further ensure our own superior quality control standards are met, we assemble, test and package all of our products in the US. When a Phantom Pumps compatible pump in our DPUMP Line, Slurry Pump Line or other pump line is substituted for a higher price name brand pump, industry professionals quickly notice the reduction in pump related expenses. Using compatible parts for pump repair and maintenance decreases annual expenses and adds more profit to the bottom line. Turn to Phantom Pumps when you want to save money on repairs or maintenance of your sewage pump, deep well pump or other pump equipment. Our pump experts can use our cross-reference guide to determine which pumps and parts manufactured by Phantom Pumps are interchangeable with Gorman-Rupp, Esco and All Prime pumps currently in use at your facility. Quality will never be compromised when organizations in Florida, Ohio, Texas, Virginia, West Virginia and bordering states choose to partner with Phantom Pumps instead of other sewage pumps suppliers. Our application engineers are always available to recommend sewage pumps and replacement parts that meet your processing requirements, and our local distributors are available to provide start-up and after-sale support. Contact us today to request quote on sewage pumps or any of our other centrifugal pumps. We look forward to serving you!